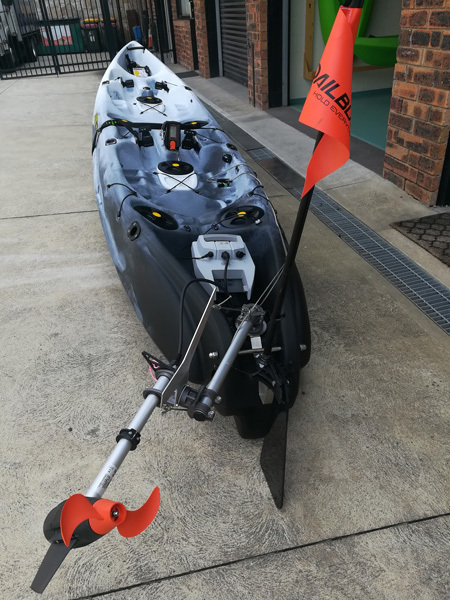 A customer wanted us to assist him to find a reliable and stable double kayak so he could go fishing and extend his range when paddling on camping trips. An electric motor was just the thing. 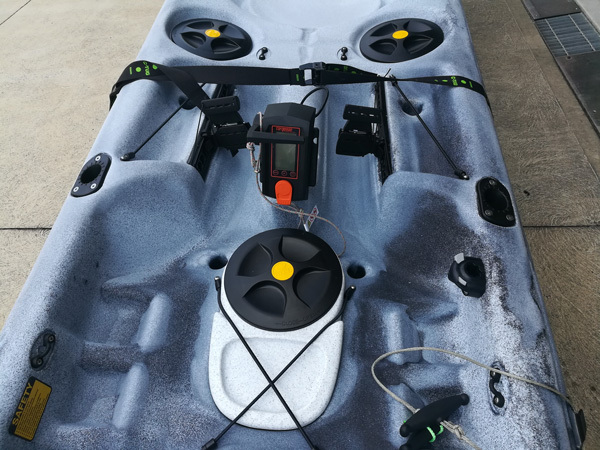 He already owned a Torqeedo Ultralight 403 motor and wanted to upgrade his kayak. He decided upon the Viking Tempo 2, a perfect expedition kayak which is also a great platform for fishing. 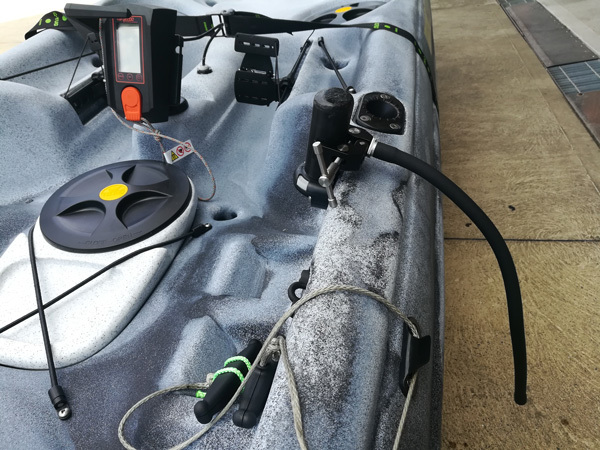 The Torqeedo motor was mounted onto the Viking Kayak rudder bracket giving it stability without needing further penetration of the hull. 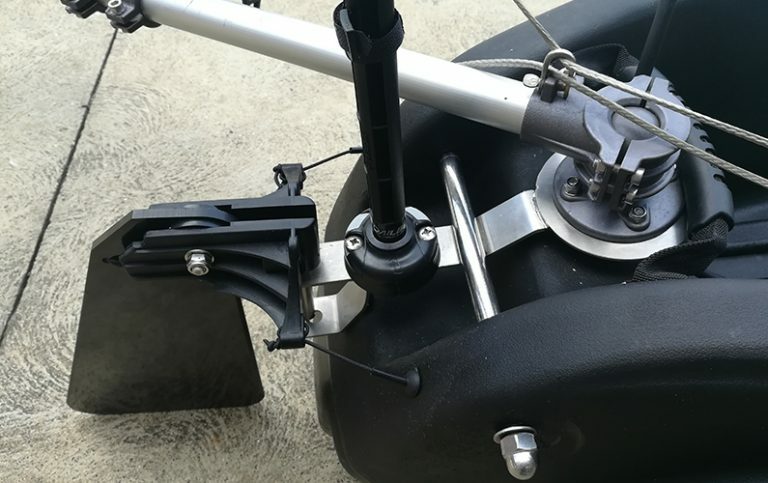 The throttle control was mounted in front of the rear paddler using a standard Railblaza Star Port. The battery box was mounted in the rear well and the cable connecting it to the battery box was passed through the hull. Two waterproof glands allowed entry and exit of the connecting cable. The control panel for the motor was positioned directly in front of the rear paddle. The motor installation was designed so if removal of the motor was necessary, the kayak would be left in its original configuration. The motor uphaul and reverse up are a simple cord locking in either direction through a cleat. 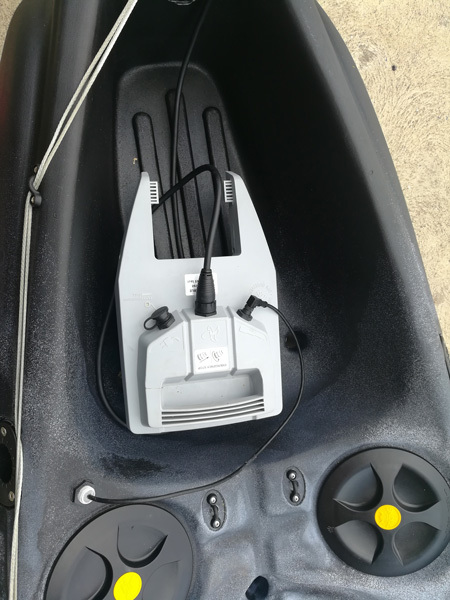 A fish finder assembly was attached to the kayak using a Side Port. 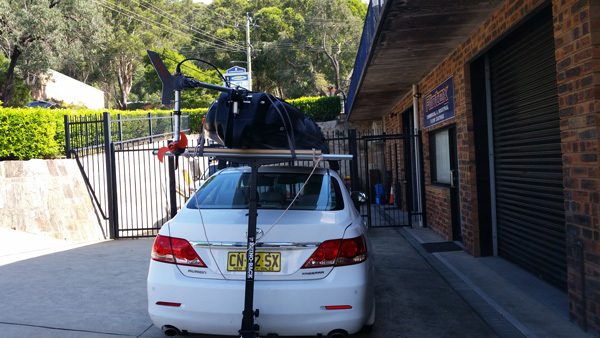 The customer will use a C-TUG trolley to move the Tempo 2 to the water and a Rhino-Rack Kayak Loader to assist loading to his car roof rack.